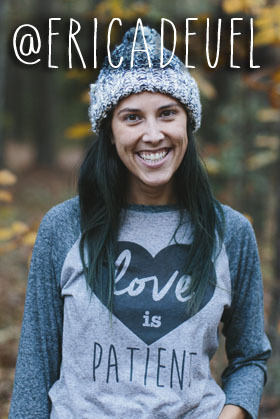 When I look back on our first year of homeschooling, I am very proud. I do lots of art and projects, but there is nothing like trekking through a school year of teaching your child that gives the same reward. My son is reading. It might not be perfect and Lord knows I could have done a WAY better job at teaching him, so it was a smoother transition, but we were learning together. I am thankful I have such a bright son, and who as I tripped on explaining rules and sight words still managed to get something. At the beginning of the year, our school days were a very formal routine. After breakfast we did the pledge, calendar, etc and went on from there. I pushed to get it all done right away (as I have an early education degree and that is how I was trained). As our year went on (and the moving stuff got crazy)I got more relaxed and together we figured out routines that worked better for us. Having a preschooler and a toddler to care for while also teaching was difficult. I learned that any activity they could do with us should be done up front. We did playdoh and crafts mostly in the morning and they were toned differently for each skill that I was working with. For example, Caleb might have been spelling words in his playdoh, J making shapes, and Reagan mixing all our colors together as she explored the texture and cause and effect elements. In the afternoon, when J and Reagan were down for naps, is when Caleb and I would do our harder stuff that required more concentration. Sometimes this even ended up being at night, if life happened and dr visits came into play. I learned that was ok. The beauty of homeschooling is it doesn’t have to be at a set time or place. I learned that all the life lessons (like being apart of working on a house to sell) are really important too. Every experience with a kid is a teachable moment and it doesn’t have to be sitting in a chair in a school room all day everyday. I wouldn’t trade the time we had together this year for anything. We had a lot of fun. I say all this to say, we started the year saying we would just take homeschooling a year (and a child) at a time. We are excited to say, we will be homeschooling again in the fall. Although I feel like I have learned a little on how I can do my job better, I know I still have a lot of space to grow. One thing that needs to change is I need to find a co-op or some kind of class for my boys. This year I was totally on my own. I made my own curriculum and I implemented it all by myself. There are tons of good resources available and I need to lean into that and make my job a little easier. One avenue of help that I have recently learned about is TakeLessons.com. Takelessons.com helps make it easy and safe to find a music instructor or academic tutor. They’ve been in business since 2006 and have a very high safety and quality priority. From what I have learned is they take the process of researching a good teacher, scheduling and coordinating times of lessons, and billing, so I can just enjoy the lessons. I’m especially intrigued with the range of in home, in studio, or online lessons. There are options! As I think about next year, I am processing this option. There are over 30 lesson types available and a 100% money back guarantee. Most co-ops I have researched require the year cost paid up front without any money back if we discover that is not a good fit for our family. I encourage you to research it as well and see if TakeLessons.com might be a good fit for your family-even if you aren’t a homeschooler! 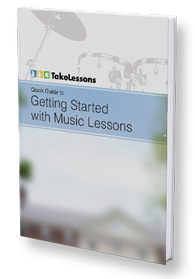 To get a FREE copy of “Quick Guide to Getting Started With Music Lessons” you can click here. As a special bonus TakeLessons is offering you a 20% off music lesson or tutoring package when you use promo code ‘IMAGINATION’ at checkout. Call 619-618-7473 to speak with a TakeLessons Student Counselor. This offer is good only through July 6, so check them out this week and be sure to mention the discount code. Other ways to learn more about TakeLessons and connect are by twitter, You Tube, or Facebook. I hope you are enjoying your summer, and I am excited to share with you a little of what we have been up to later this week!